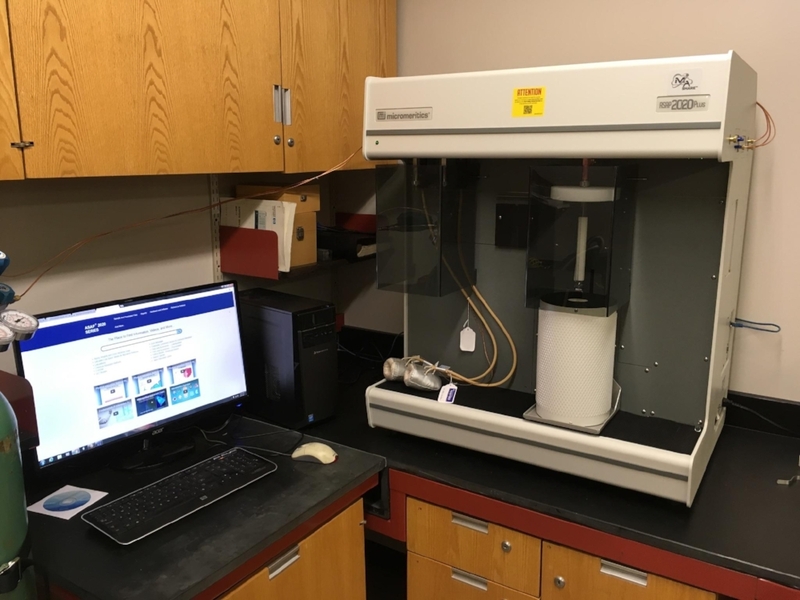 The Micromeritics ASAP 2020 HV BET analyzer measures nitrogen adsorption isotherms for porous materials at 77 K. The most common application is for determination of microscopic surface area. Samples should have 10-50 m^2 total surface area if possible. The HV package, which adds a vacuum turbopump and low-range pressure transducer, permits accurate measurements at P/P0 as low as 10^-5, optimal for high specific surface area MOF samples. Two degassing ports and a separate vacuum system are provided for preactivation of samples.